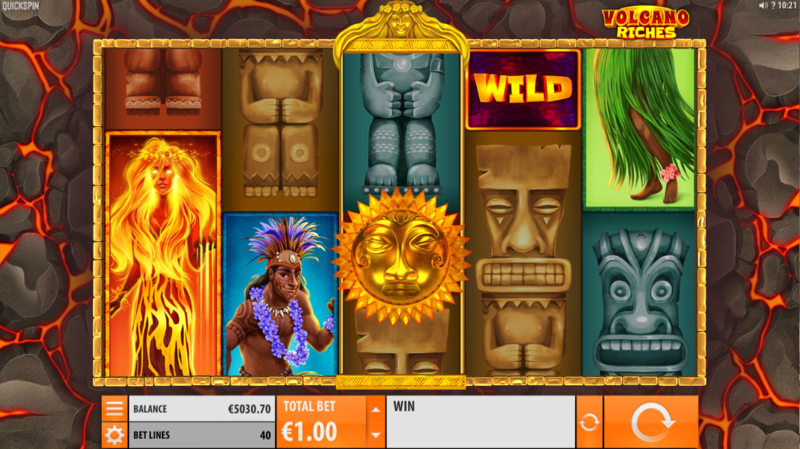 It’s all well and good living on an island in the South Pacific until a volcano erupts and ruins your day; Volcano Riches is an online slot from Quickspin Gaming which showers the reels with lava along with winning combos and two fiery bonus features. Volcano Riches is a five reel slot with three rows and forty fixed paylines; a flow of rocky lava forms the backdrop to those reels which are kept in place with a neat gold border. 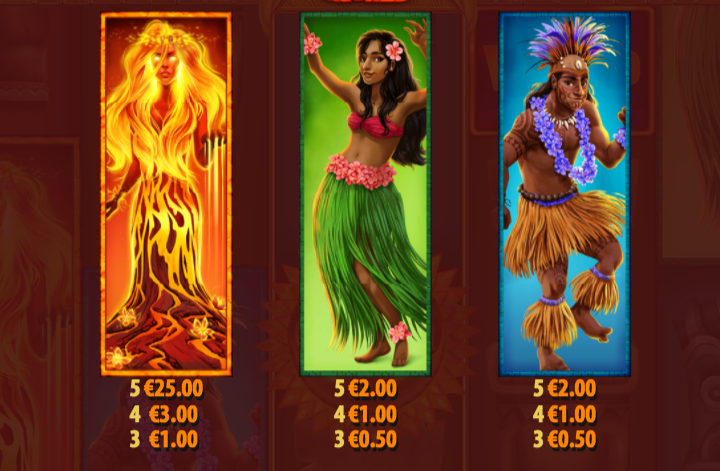 The symbols can all appear stacked on the reels and the most valuable are the dancing man, the dancing woman and the volcano girl; four Tiki statues represent the lower values. 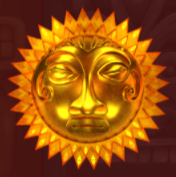 The wild symbol is a gold ‘Wild’ and it will substitute for all others to help form winning combinations except for the golden scatter icon. There’s also a Volcano Wild which is explained in a bit more detail below. This is triggered by landing three of the gold scatter symbols anywhere on reels two, three or four; you’ll now receive ten free spins which cannot be retriggered from within this feature. During the spins wins can be formed from right to left as well as left to right and the Volcano Wild feature is also enhanced. The Volcano Wild is the extra wild which appears on reel three in the base game and on reels two and four during the free spins. One can land in the base game and a maximum of two in the free spins and they will erupt to create up to four more wilds which will land elsewhere on the reels. Check the video above to see this in action. Volcano Riches is typically high quality stuff from Quickspin and it’s a slot that comes with two interesting bonus features which combine to provide some big wins within the free spins. This game comes with an RTP of 96.43%.